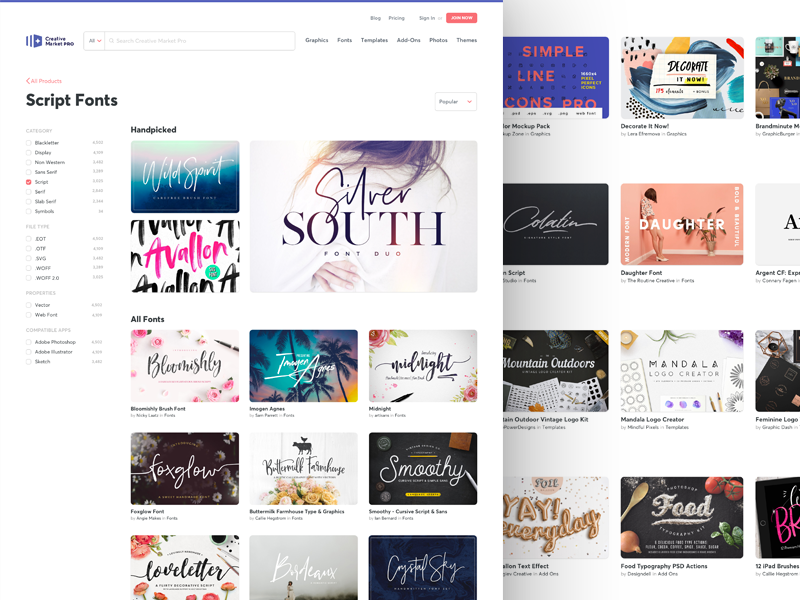 Since late 2012, Creative Market has been a growing platform where creators from around the world buy and sell digital design assets. While empowering our international community to make a living doing what they love, we also help fuel creative projects of all kinds. In July of 2017, we set a goal. In just six months, we’d launch a new subscription product serving professional designers: Creative Market Pro. It was a massive undertaking on so many levels that involved nearly every person on the team working together to make it happen. So how did we do it? What did we get right? What could we have done better? Did being a remote team help or hinder the process? I’ll try to answer all of these questions as best I can. First things first: We needed to define what we were building. We knew that we wanted to serve the professional design community and provide a fresh perspective on the old-school stock industry. But questions remained. Did we want to conquer a subscription product? What were our goals? Everything from the overarching objective of launching a successful product, down to the details of pricing and user flows. Our process for nailing down these details began with aligning the team around product and market research. From the very beginning, all teams were involved: Product, design, engineering, growth, marketing, and support. Everyone participated in research exercises that would lead to final recommendations for the product direction. The research teams were diverse, almost always cross-functional, and broken into very specific segments–we called them buckets. Some examples of the buckets were: positioning, branding, licensing, and pricing tiers. Each bucket had a lead who would compile the research and make the final recommendation to Aaron, our CEO and Head of Product. The research process and the end results were a strong way for our team to both understand and align around our product goals. When building such a large product with a distributed team, this type of alignment is necessary for everyone on the team to embrace and carry forward as we dive into the actual work. We ended this exercise with a set of solid next steps—and, more importantly, a shared sense of knowledge and ownership by the team about the new product. We were able to bring everyone in, allowing a sense of ownership through their valuable contribution. We could have started this process earlier. There were specific reasons why we didn’t, like how we were in the middle of a spinout from Autodesk, but we could have used a bit more time. Research dependencies across all the teams put us at risk for cascading delays. Did being remote help or hinder? Getting a remote team on the same page can have its challenges—time zones, home offices, coffee shops, internet connections, to name a few. Fortunately we’re living in modern times where tools like Slack, Zoom, Dropbox Paper, and InVision exist to make work faster and easier. In this phase of the process being remote didn’t matter because of the amazing tools available to us. Confluence acted as a central hub of research and information for the team, while project tasks funneled through Asana. Our due diligence allowed the Pro product team to go full steam ahead on the project. Six months isn’t a long time to build a product from scratch—especially one as ambitious as Creative Market Pro. We knew that we needed to optimize the traditional process that is design-heavy on the front end and development-heavy on the back end. Our research provided us a high-level view of our product features, so the entire team knew what we were building—we just didn’t know what it would look like. Our solution was to revise our traditional design-development process and build wireframes that focused on information architecture more than design details. This let our engineers start building out those wireframes right away, and led to more of a parallel track between design and development. Constant communication and iterations via Slack or multiple daily Zoom calls felt like the right approach to efficiently getting large chunks of the site done. The process looked something like this: our product designer would take a section of the site, like the Product Page, and design a wireframe for it. Sometimes the wireframe simply had squares representing entire features, other times it had a bit more detail to help think out steps within a feature. 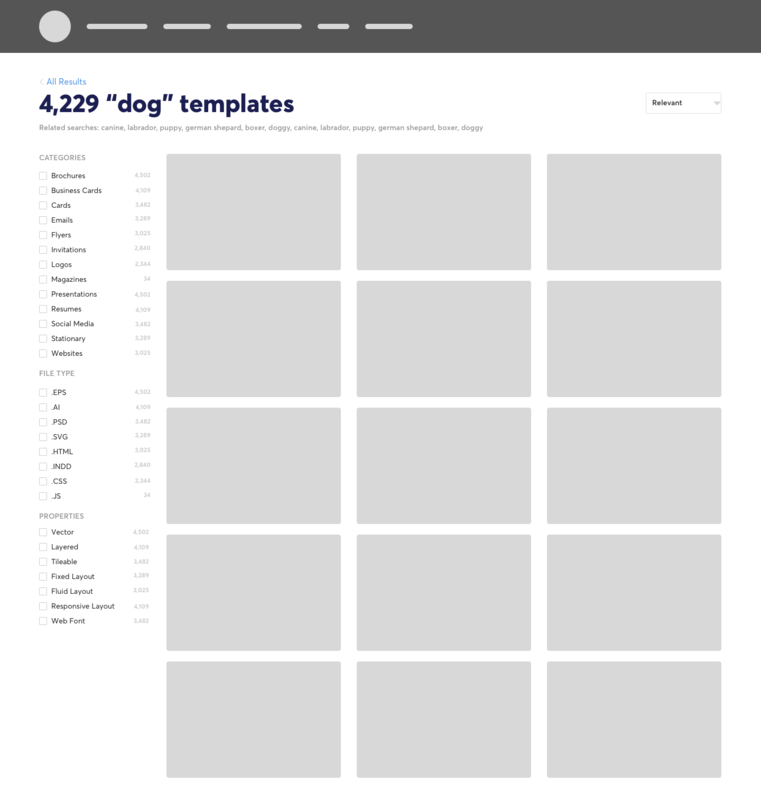 The wireframes were then shared with the immediate product team, namely our engineers and product manager. Everyone would discuss the wireframe, asking questions or providing critical feedback, or even offering feature improvements. The designer would take the feedback to iterate, and we’d repeat the process until we all agreed we had something solid. At that point engineering would build out the section and the designer would get started on the next section. We successfully tore down the walls between design and development by allowing engineers a seat at the table usually held by designers and product managers. Engineers were involved at every level of the project, not just scoping a final wireframe mocked by a designer and product manager. Additionally, as some engineers worked on models or controllers (things not directly related to the layout/design), they were privy to the designer’s thinking about where they intended to take things, and this allowed them to build with valuable foresight. By building only the wireframes to start, it meant that we’d be building the UI after we had a working prototype. Any major information architecture changes due to UI direction would be difficult. Perhaps if we had more hands on the design deck, we could have worked in some UI explorations in tandem with the wireframe work. Being remote during the build of a new product can be painful when it comes to those quick back-and-forths that a designer and developer have at a workstation. There’s no workstation we can gather around. In the early days of the project, I’d rally the immediate team once or twice a day to review the work via a Zoom call. Sometimes it was easy to get everyone in a room, and other times it wasn’t. One takeaway from this experience: You don’t always have to wait for scheduled meetings for feedback from your team. Digitally tap them on the shoulders whenever they have a second to chat. Our project team started with just 4 people: Aaron, Sarah, Alana, and myself. We quickly added two more when Jill and Dustin joined the team, and the six of us began the first half of the project. By the time we shipped, we had 11 engineers heads down. Scaling up for this project, as well as future projects, was something we’d been looking forward to for a while. However, if you’ve ever hired before you know that finding the right people is hard. When it comes to hiring at Creative Market we focus on work ethic over work experience. Our team’s core values are our North Star, which means every candidate is held up to them. Two of the engineers we hired to help us build Creative Market Pro had never worked in PHP before, but CTO Chris Winn got the sense that given the opportunity, they would raise the bar and focus on impact. We knew we needed people who were self-motivated, put the team first, and had a growth mindset. By creating a framework for our candidates, we were able to look past experience and hire for the right traits. Did they nail it? Yes. And as it turns out, people with a solid work ethic are pretty dang cool to work with–and that’s super important when it comes to remote work. Being remote, you already face communication challenges, but those potential issues are squashed when you’re working with a hard worker. There is a mutual respect that’s shared and grown between teammates that really helps make our remote culture work. 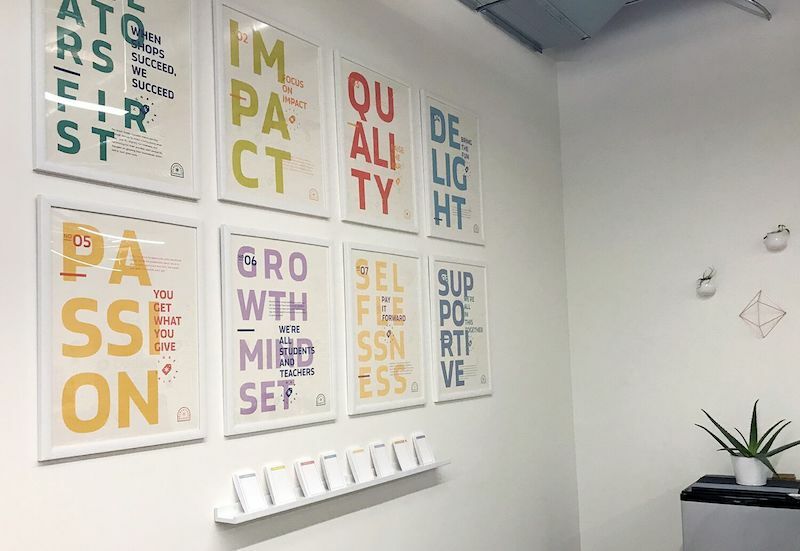 Using our core values as a guiding light, we knew the type of hire we needed to see this project come to fruition. Creating a framework for hiring helped us onboard the right people into much-needed roles. We could have hired earlier for the roles we needed, but at the same time good talent is hard to find. So in that regard, perhaps we could have started our search earlier knowing that the hiring process can have a huge delta around finding the right people and getting them onboarded. Hiring remotely can have specific challenges—let’s be honest, not everyone comes across over the phone as well as they do in person. Generally we don’t fly people out as part of the interview process. In order to offset this we have interview panels that use our core values along with their own personal insights to make judgement calls. We’ve been lucky so far as we haven’t had any hiccups in the phone-only interview process, but as we continue to scale that is a real possibility. By this time, we’d not only hired a few more amazing teammates, but we also brought over other front- and back-end engineers to help push us over the finish line on time. As each engineer jumped into their respective sections, the communication ramped up exponentially–between both engineering and design. It quickly became too difficult to keep up with Slack and stay focused on your tasks at the same time. Zoom calls were too time consuming. We needed to be together in the same room. So we all went to San Francisco for the final two weeks where we worked 8am to 10pm (or later) every day. It was incredible how cool the team stayed while under the pressure of the looming deadline. As issues arose, those final few weeks were a chance for us to bond, to build rapport with one another, to work at a team to accomplish something larger than any of us could do on our own. We had the process down. Design + InVision + Craft let us quickly iterate, push up final design work, and it allowed our engineers to get the details they needed to put the final touches on the product. We missed our internal deadline. We were aggressive and we were obsessive. Those two characteristics tend to be in conflict with one another on projects like these. Do we give more time? Do we let some details slide? Tough calls to make on both sides. Ultimately we gave on a little of both. As our last month came into view, it was clear that being remote was going to be a bit of a hinderance. It’s ultimately why we all ended up in San Francisco to finish out the final push. Could we have done it remotely? Sure, but I’m glad we got the chance to come together. So there you have it. How our fully distributed Creative Market team shipped Creative Market Pro in just six months. Did we ship an amazing product that we’re all extremely proud of? Yes we did. Did we learn a few things along the way? Yes we did. Did being a remote team affect the final product? No. We have the tools available and the culture that thrives in a remote setting. If nothing else, Creative Market Pro is a testament to the fact that a remote team can do just as great of work at an in-house team. 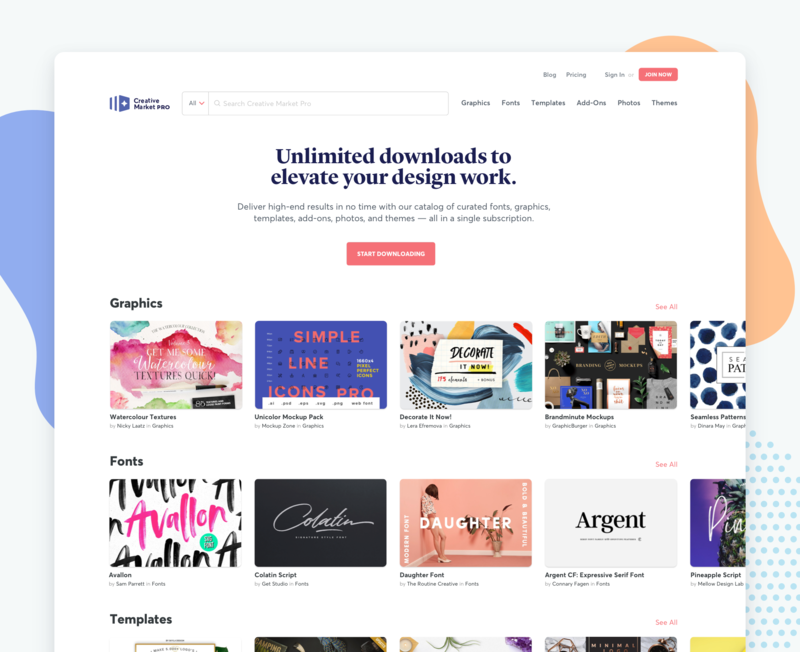 Thanks for reading, and be sure to check out Creative Market Pro if you’re a design professional looking for a subscription service with hand-curated digital assets. We think it’s pretty great.